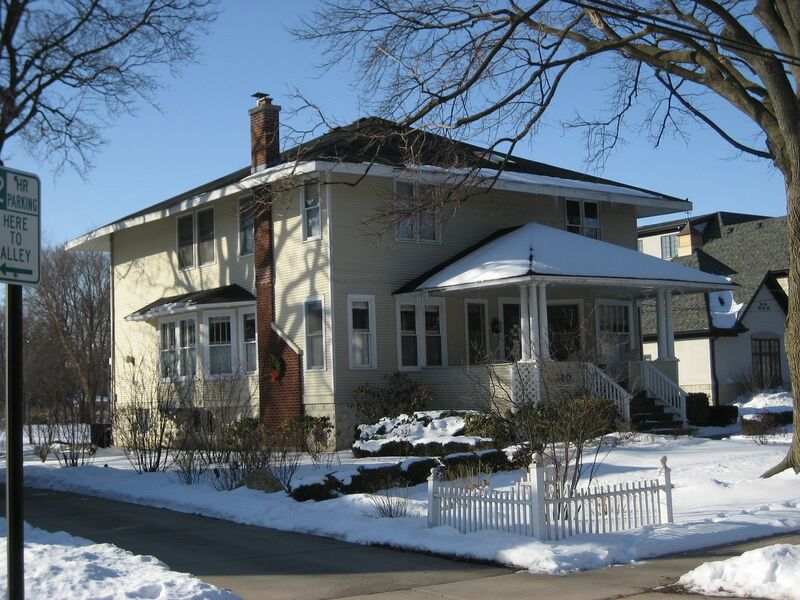 It wasn’t terribly long ago that I noticed that the Avondale and the Hawthorne were the same house, with a lone difference: The attic/second floor on the Hawthorne was enlarged, to create livable space. From what I’ve seen out in the world, the Avondale was a very popular model for Sears, and the Hawthorne was quite rare. 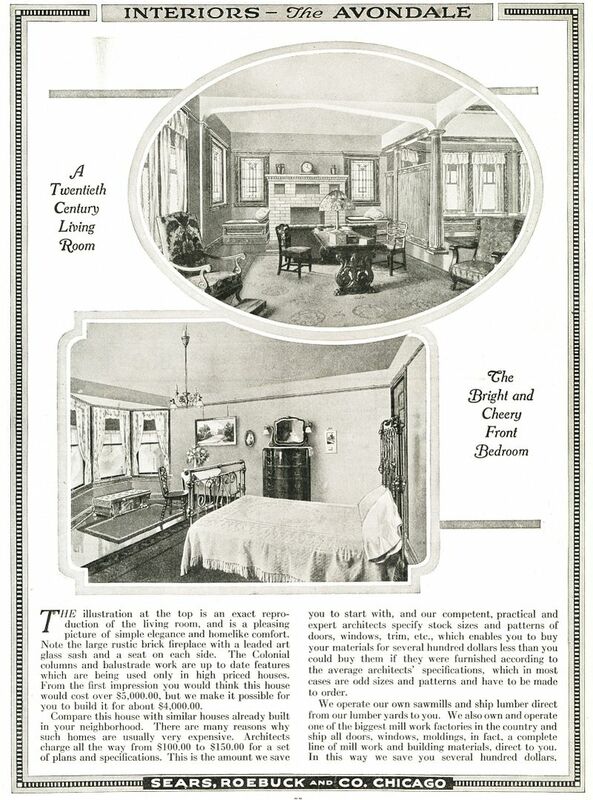 Both the Avondale and the Hawthorne were elegant bungalows with a few extra features, such as stained glass options on the smaller windows near the fireplace, an inglenook in the living room, a large polygon bay at both the dining room and front bedroom and a spacious front porch. And what is the Hawthorne Effect? It actually has nothing to do with Sears Homes. It’s a theory that subjects being observed will change their behavior when they know they’re being observed, thus skewing the effects of the research. To learn more about the Avondale, click here. 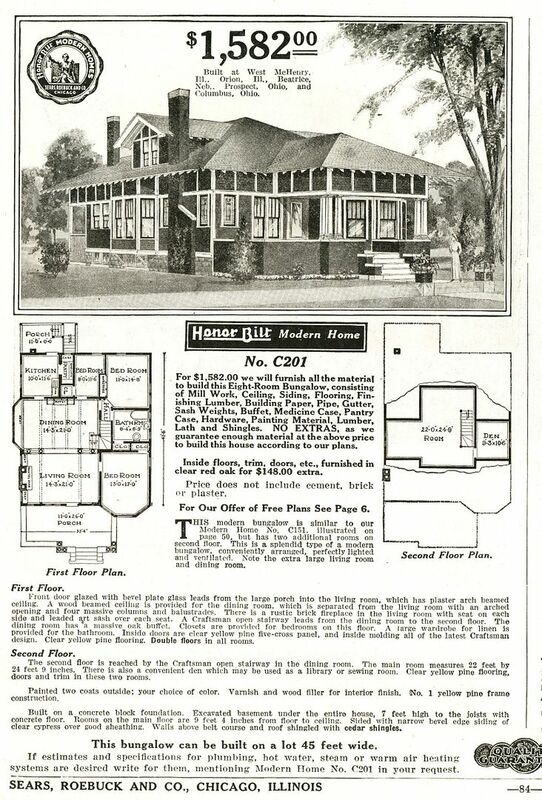 The Sears Hawthorne, from the 1916 catalog. Interior view of the Sears Avondale. Do those benches qualify as inglenooks? I would say - maybe - but writing these blogs is a lot of work and very time consuming and it's 6:23 am and I'm in no mood to go back and change a lot of text. 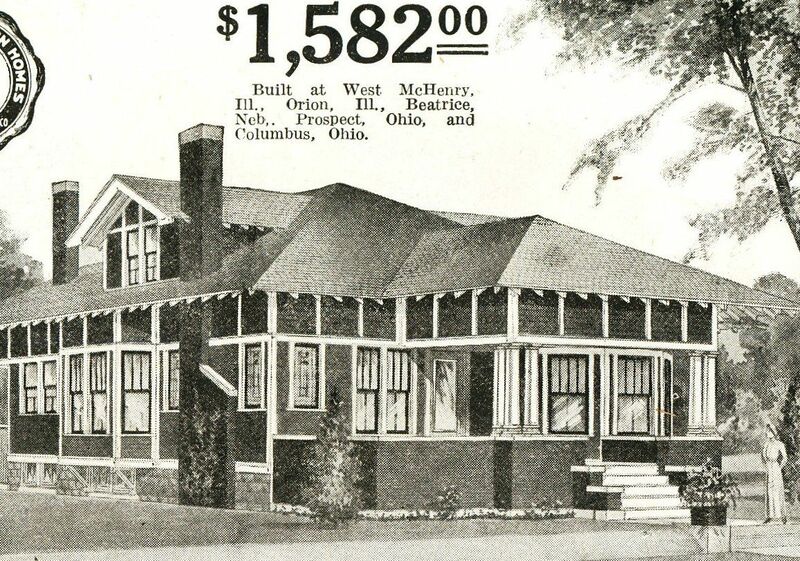 Speaking of houses, check out that oak slat screen on the right side of this image. Now that's gorgeous. 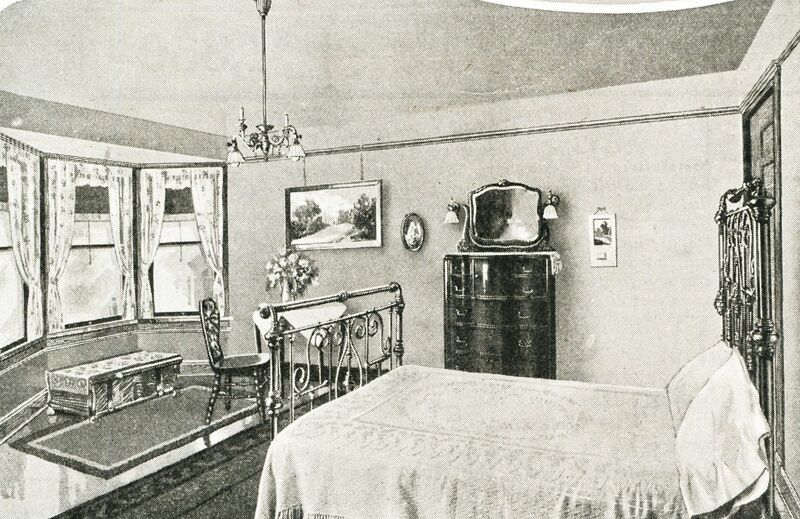 Shot of the large bay window in the front bedroom, and my grandfather's dresser, flanked by two sconces. Also check out that sweet light fixture. That's a beauty. The Hawthorne, as seen in the 1916 catalog, together with a lady in pain (right side) wearing a corset that's obviously way, way too tight. Rebecca Hunter found this Hawthorne in Piper City, north of Champaign, Illinois. Photo is copyright 2012 Rebecca Hunter and may not be used or reprinted without permission. Rebecca's website is www.kithouse.org. 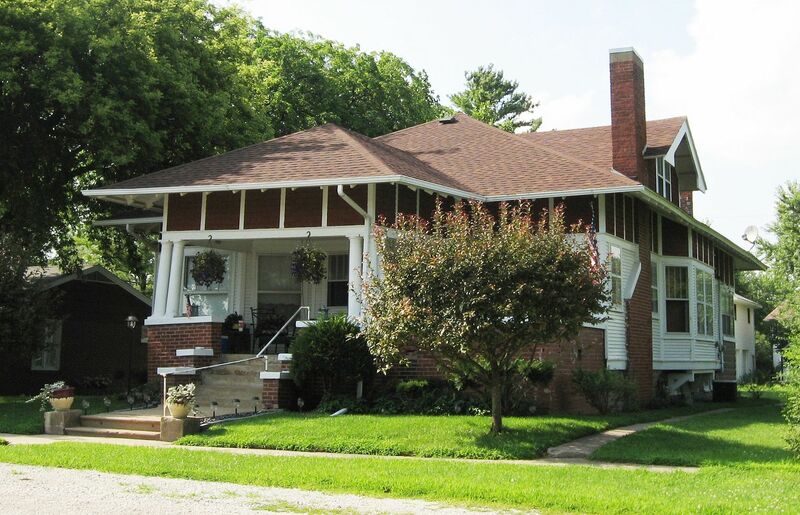 This Hawthorne in Mattoon, Illinois was supersized. 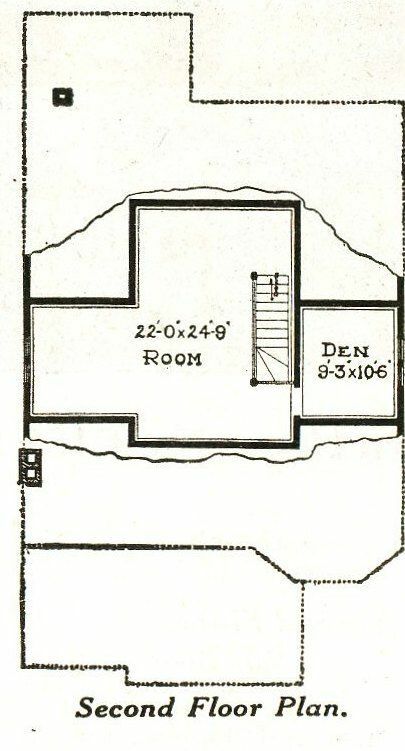 That height of that second floor was doubled to create much more space upstairs. 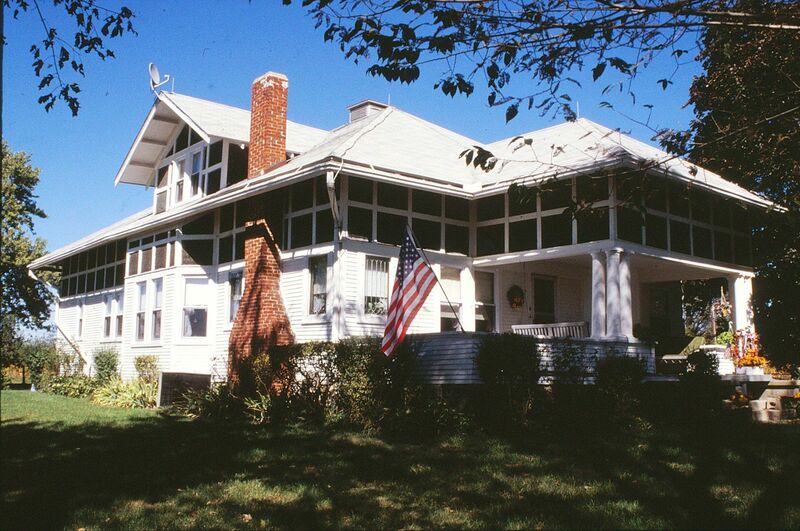 In 2004, I toured the inside of this home and it's a real beauty. 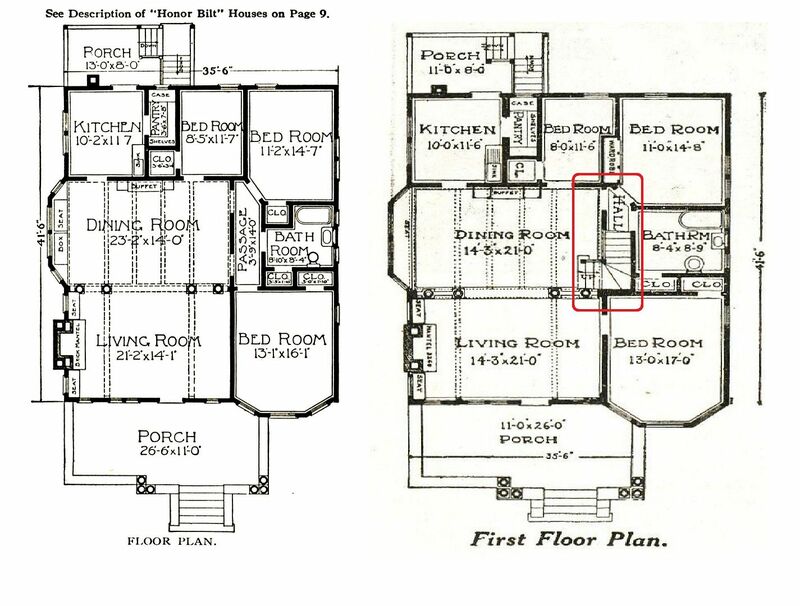 Comparison of the floorplans of the Avondale (left) and the Hawthorne (right). 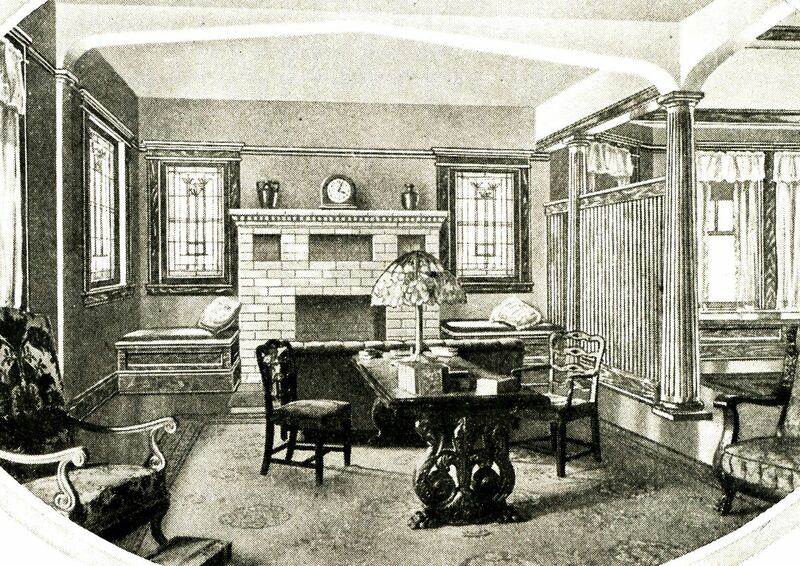 View of the 2nd floor on the Hawthorne. One of my favorite Avondales. It's in Litchfield, Illinois. Rebecca found this modified Avondale in northern Illinois. An entire 2nd floor was added a few years ago. 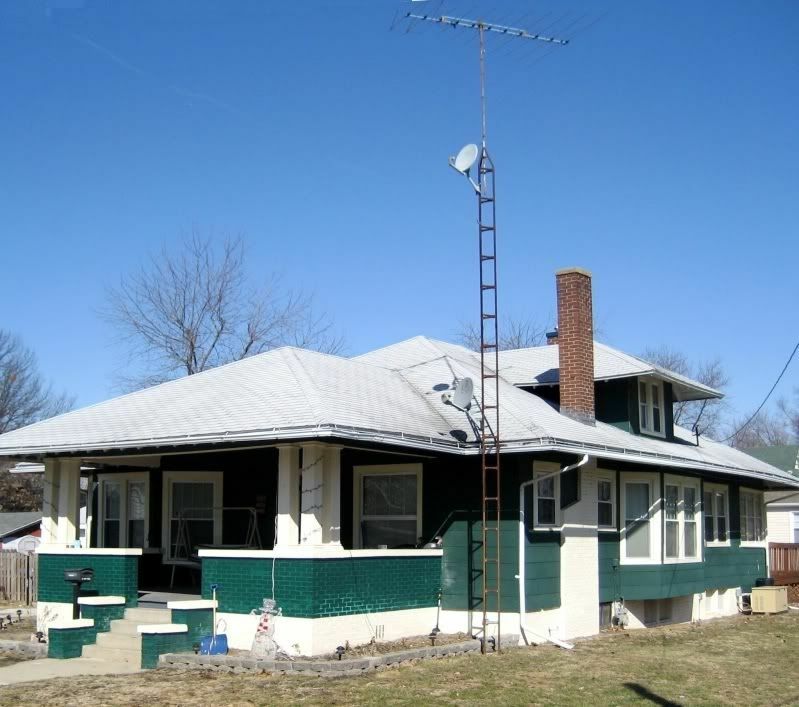 In 2010, Rebecca and I spent several days driving throughout the suburbs of Chicago, and she showed me the many fun kit homes that she'd discovered through her years of research. This was one of the most intriguing. Visit Rebecca Hunter’s website here.